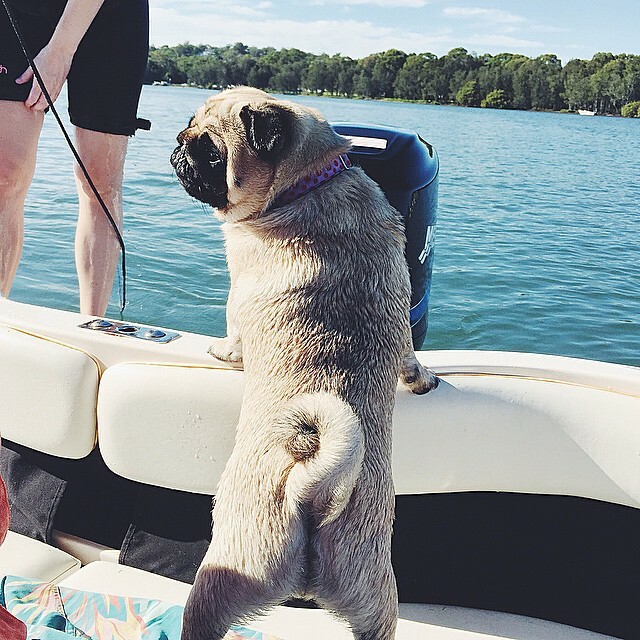 It’s time to bring you another awesome pug from the social media scene in our Social Pug Profile series. 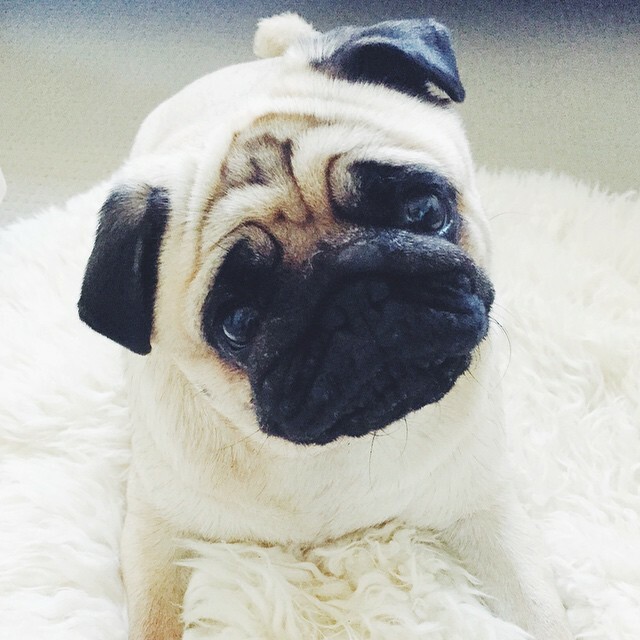 This week we get to share with you the awesomeness that is Wilma, also known as @apugcalledwilma on Instagram. 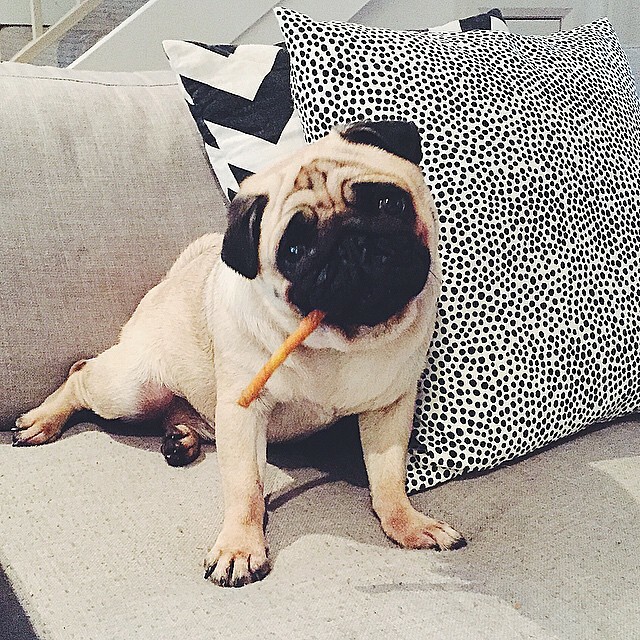 Wilma has a very busy lifestyle being the business pug behind her mum’s blog, The Daily Mark. She also has quite a social life which we see on Instagram with photos snapped out and about. So we bring to you Wilma’s interview where she takes the time to answer our questions. Check it out! What is your favourite time of the day? Dinner time of course! Closely followed by breakfast time and mid-afternoon treaty time. What is your favourite food? Chicken! BBQ Chicken, Roasted Chicken, Poached Chicken, Grilled Chicken, Dried Chicken. Do you have a toy that you can’t live without? I love a good squeaky toy from FuzzYard and my favourite bed time pal is Nelly the Pink Elephant that I got from Grandma for Christmas. What do you hate the most? I like to think I’m pretty easy going but when there’s a windy, stormy night I tend to lose my head a little. Far too noisy for my delicate ears. Do you have any bad habits? I was a bad chewer but I’ve grown out of it. At the moment being a good girl is working for me. Far more treats in that so I like to do as I’m supposed to. What do you think is your best quality? 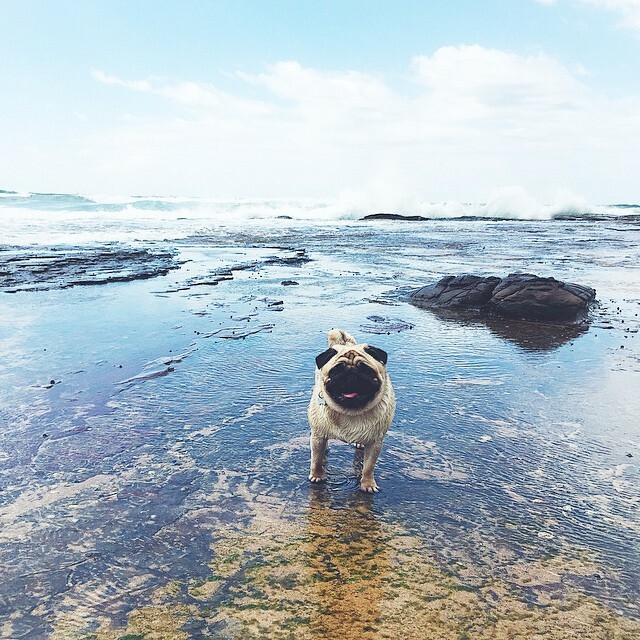 I’m a fun loving pug with a gorgeous face and a little sass to boot. What’s not to love? What does a typical day look like for you? I usually have a sleep in (and hog the covers) while Mum and Dad go out for a morning cycle and walk. When they get back it’s time for Breakfast (Ivory Coat with a teaspoon of Coconut Oil) and then time for my morning nap (It takes a lot of beauty sleep to look this cute!). Afternoons I like to venture out to the courtyard for a sunbake and then dinner (Chicken & Vegetables). After dinner when the sun is setting is walkies time when it’s nice and cool and there’s plenty of people out to say ‘Hi!’ to! What has inspired you to share photos on Instagram? 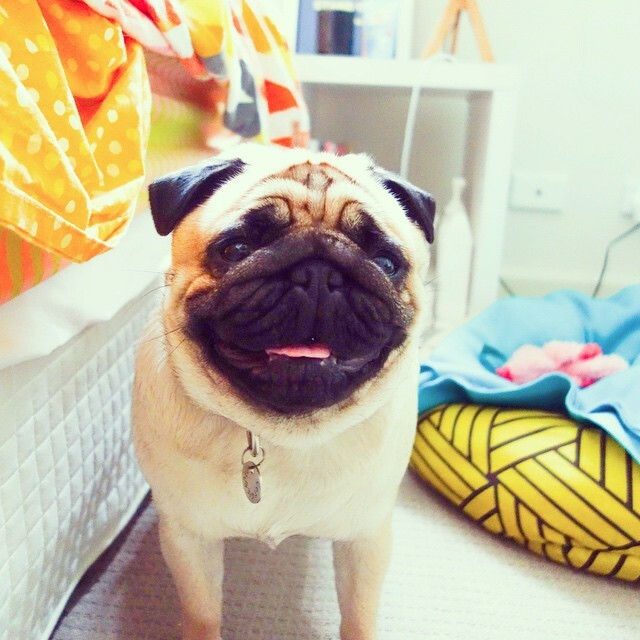 Mum and Dad knew how obsessed with me they’d be from the moment they laid eyes on me so they decided to start an account to save their own from being swarmed with pug photos (I still don’t know what exactly is wrong with that anyway). Since then I’ve just grown up and made some really great friends along the way! How have you managed to gain so many followers on Instagram? 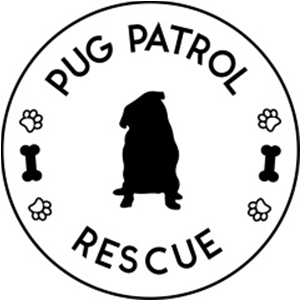 I’d like to say I’d sent them all chicken bribes but really it’s just a combination of chatting with other pugs via the amazing hashtags like #pugsofinstagram and uploading snippets of my day for others to see too! What is it like to be a pug in the spotlight? It’s pretty cool. Sometimes when I’m walking down the street people stop to say ‘Hi!’ because they know me from my instagram. Mum takes me to dog events too so I get to meet my insta friends in real life. I’m pretty much the KimmyK of pugs and that’s all right with me! 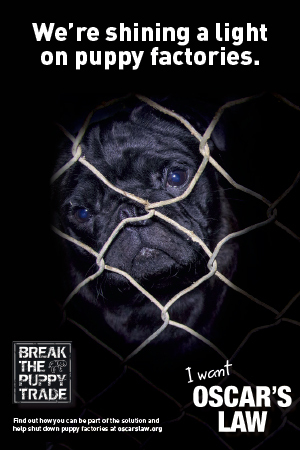 Oh Wilma livin a true pug life….so cute and yes got to get your beauty sleep in! Oh Wilma is wonderful and has an amazing life. Thanks for stopping by Stephie. Thanks so much for having me! So thrilled to be featured on your awesome blog! Kissies! Wilma is such a babe! I love that she is the ‘KimmyK of pugs’ haha.